In time for the coming Christmas season the world’s most famous ‘wild cat on wheels ‘ the Jaguar car brand of course, have added a new fragrance to their collection. We now find Jaguar Stance added the the brands fragrance collection which makes it number 17th in the collection, (before came classics like Pace and Classic Chromite) so what should we expect from this new juice? The perfumer is the renowned perfumer Richard Ibanez. 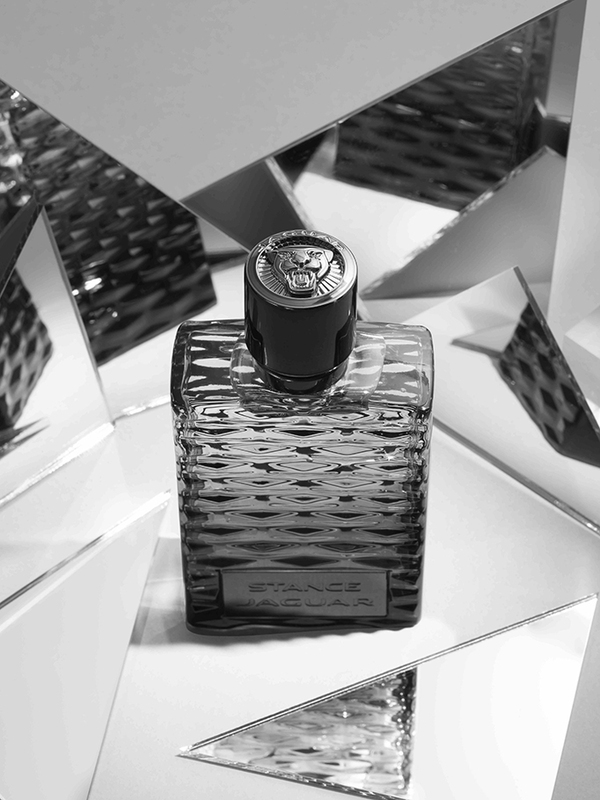 Initially the fragrance offering from Jaguar has been quite a classic affair, with the older gentleman in mind, however this does see a departure towards the younger slightly more adventurous customer . Not that this is a dangerous scent, it’s not, but it is not as straight forward as many may think. So what does that mean from the point of view of the actual sensory experience..how does it actually smell, well it is described as a green-citrusy. Lets talk notes here, but lets start with the base. An amber, patchouli base that keeps it rooted, not a ‘fly away’ scent. The vanilla keeps gives it a ‘creaminess’ that stops it being too dry but allows for the middle and tops notes to be pulled together. The heart brings in a blend of iconic woods. The smokey ‘rootiness’ of delicious vetiver is added to by the dark patchouli, alongside a smoothness of cashmere wood. And the top? well i saved the best for last, because thats what gives this fragrance a slightly stand-out point. Its full of fruit! We are talking sparkling mandarin with crispy apple note and finished off with warm and spicy cardamom. It’s not that woods and spice are new to mens fragrance or even fruit for that matter, but a crispy apple and the citrus gives this a slightly different facet to quite a few new mens scent arriving in the marketplace. So for those men you love, or if you are one, who love the freshness of an open road then this is a fragrance for you!